Training is held in Minneapolis, MN. Are you a Society for Human Resource Management (SHRM) Certified Professional or Senior Certified Professional? We are pleased to announce that you can now receive Professional Development Credits (PDCs) for your Everything DiSC Workplace Certification. 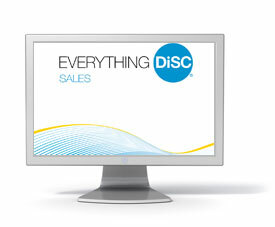 As of March 15th, 2019 Everything DiSC Certified trainers will receive 15 PDCs for their Everything DiSC Certification. Additional classes available in Copenhagen, Denmark and London, England. Call for details. Note: You will be trained by Everything DiSC and Wiley’s professional trainers and staff. 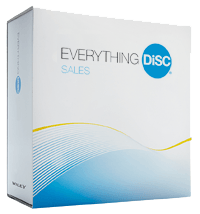 Only Everything DiSC, a Wiley brand (formally Inscape Publishing) can offer official training and facilitator certification in “DiSC” and “Everything DiSC” products. Why Everything DiSC ® Certification? Everything DiSC Workplace Certification is the best resource to gain foundational knowledge and invaluable tools for facilitating Everything DiSC Workplace. What is included with the cost of training? What Can You Expect During The In-Person Certification Course? During this course you will participate in partner, small group, and large group presentations and breakaways and must complete a written exam at the end of the final day. The final exam is the only graded component. 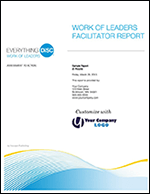 Each participant will learn about the Everything DiSC Workplace profile. Where will the Certification sessions be held? Why Minneapolis, MN? Because that is where Wiley is located, and this is where direct access to the developers of DiSC can be accessed and drawn upon during the training. Wiley utilizes the trainers, developers and researchers that have developed and continue to improve DiSC and Everything DiSC. Location: The training center is convenient to airport hubs. More than 21 days prior to the training, you are able to cancel your registration and receive a full refund. Between 21-7 days prior to the training, You are liable for a $100 USD administrative fee. Less than 7 days prior to the training, including no-shows to the session will be unable to receive a refund. *If your cancelation is made via email or outside of our normal business hours, the cancelation policy that applies the day we receive your message will be granted. Please plan accordingly and give us as much notice as possible to ensure a full refund. $3690.00 NOW Only $3,295.00 for 2 days of Training, Everything DiSC Workplace Facilitation Kit, and free EPIC account set up ($177.00 value). You will have a working knowledge of the EPIC Administrator Account used for delivery of the various DiSC online profiles and reports. This will be done over the phone. 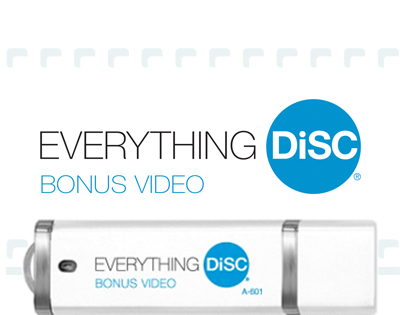 You will have time to look through Everything DISC Facilitation Kit and will need to bring it to class with you (it is all on a flash drive). Q: Is Certification needed to use DiSC Profile tests? 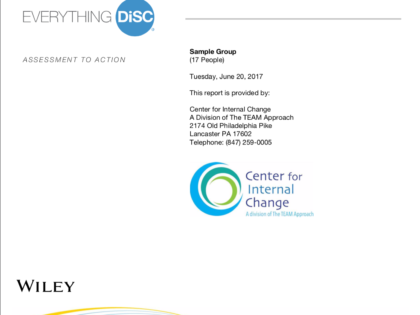 No, but it is recommended because of the recent advancements in the DiSC assessment, its variations, and various paper and online delivery generated individual and group reports. 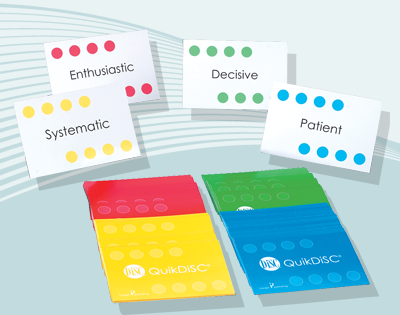 The center piece of the training is the Everything DiSC Facilitation System, which is based on new research as opposed to much of the decades old of faulty information and folklore what does not stand up to current research methodologies. 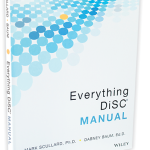 Everything DiSC is the most comprehensive DiSC training and facilitation system ever offered to the public by Wiley (formerly Inscape Publishing, Carlson Learning). and based on new research on both DiSC and Adult learning. It is comprehensive, intuitive and user friendly. Q: What will be covered in the two days? *Coming soon – an updated agenda for the new blended two-day in-person Workplace certification by Wiley. Q: What’s the most important thing for me to do? A: Register early. Class size is small and available on a first come, first served basis. We will be covering a lot and you will appreciate the individual attention. You will have class pre-work, we will set up and let you practice with your EPIC account, and you will need to briefly review your Everything DiSC Facilitation System. Sign Up Here For the 2 Day DiSC Certification.